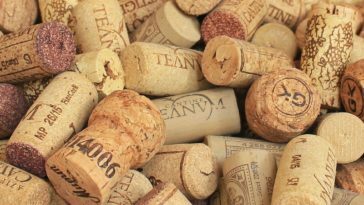 Some of the best wines are sealed with corks and the struggle is real when it comes to getting the cork out. 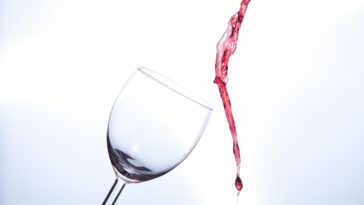 Handheld corkscrews messing your plans for a romantic dinner? 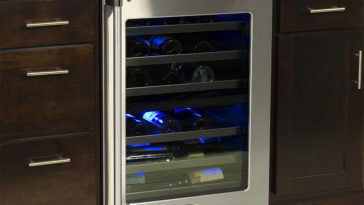 A Brookstone wine opener will have you (and your wine) covered! 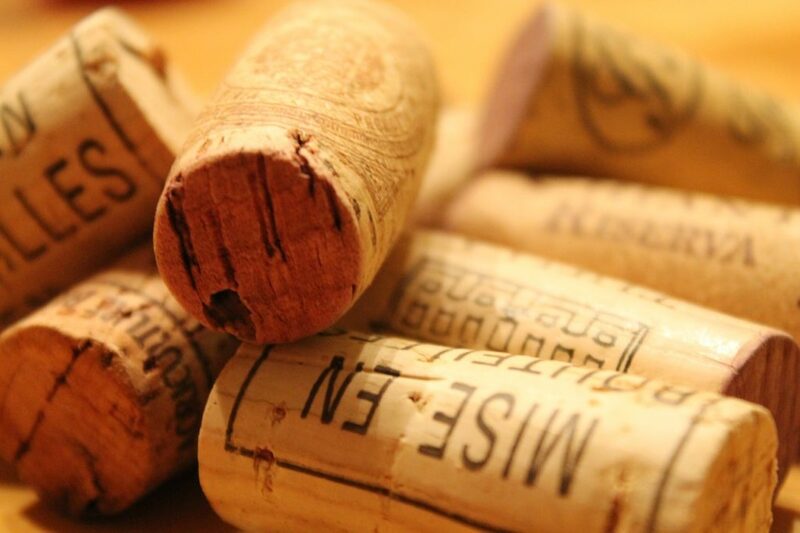 Handheld corkscrews that require muscle and precision are a thing of the past. 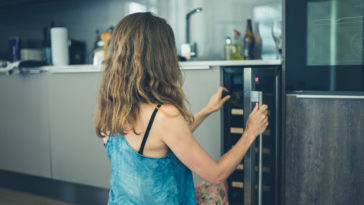 Investing in a well-designed wine opener is sure to pay off; you’ll quickly find that this will become a staple tool in your kitchen and one you’ll want to keep well within reach. 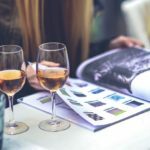 Brookstone is a brand leader when it comes to design and ease of use and here, three of their top wine openers are reviewed so you can easily choose the best one for you and your kitchen. 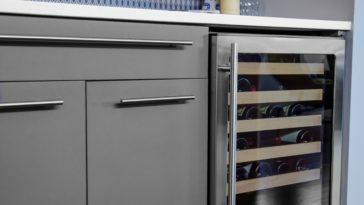 Each Brookstone wine opener is crafted with precision and features ergonomic aspects that make for optimal comfort while you use them – whether you use it for one bottle or a dozen, you won’t find the bottle, or the wine opener slip. 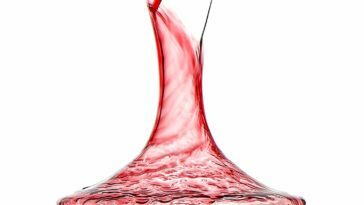 In addition to being a comfortable tool to use, the design of each Brookstone wine opener allows for it to fit any size of wine bottle. 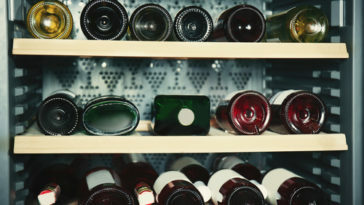 No matter which model you purchase, it will provide a seamless and effortless single-pull cork removal. 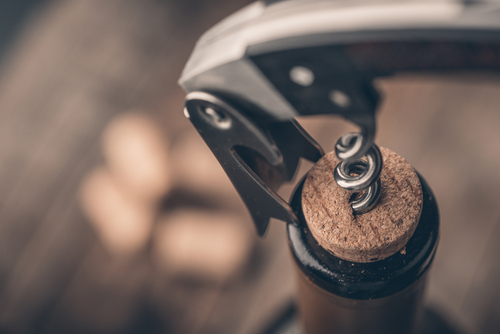 Your Brookstone wine opener is also ahead of the game when it comes to working with different types of corks, handling both synthetic and natural corks with ease. 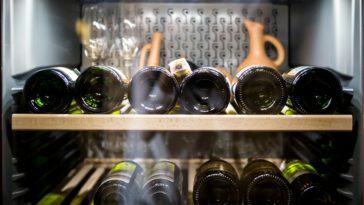 When you are looking for a wine opener, either as a gift or for yourself (hey, you can self-gift too! ), you want to ensure that you end up with something that has quality and comfort. The point in purchasing an advanced wine opener is to avoid the hassle of the traditional corkscrew. Each Brookstone wine opener reviewed here meets both of these needs. Additionally, each one has unique features that are sure to appeal. 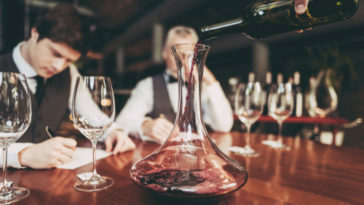 Choosing the right one will come down to your personal wine style – do some research and you are sure to find an opener that you will find yourself reaching for again and again. For those that are in the wine-opening business, this compact Brookstone wine opener is the bomb. At just 7 inches tall, it is one of the easiest to slip into pockets, or carry out along with a bottle. It is one of the lightest bottle openers too, weighing just under 2 pounds. Don’t let the small design fool you; this Brookstone wine opener is made with metal core parts that lend themselves to complete durability. The outside cover of the tool is a sleek, hard plastic which makes this aesthetically stunning as well. Beyond the overall durability of the tool, the exterior plastic makes this easy to clean; using warm water will quickly clean this for the next use. 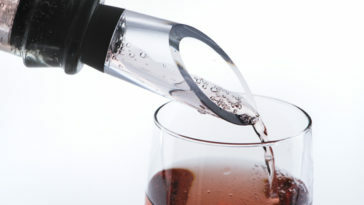 Unlike competing models, this compact Brookstone wine opener works with just one hand. 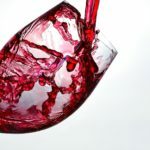 Once the ‘teeth’ of the tool are over the neck of the wine bottle, simply hold the bottle with one hand and grip the handles of the wine opener with the other. Keeping your comfort in mind, the handles are designed with ergonomic ares for optimal grip and comfort. This wine opener pull the cork out once you release your grip on the handles. 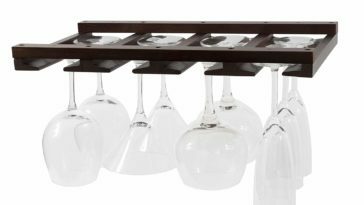 One of the many features that make this model particularly appealing is that this works with both synthetic and natural corks. Admittedly, some of the synthetic corks are a bit harder to extract, but this tool handles them like a pro. Adding to the features, this opener also includes a foil cutter. Lastly, by design, this wine opener will fit to any wine bottle you have stashed away. 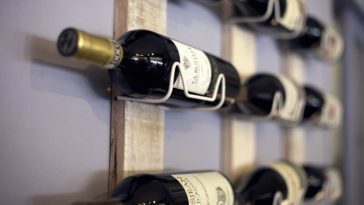 Manual wine bottle openers are quickly becoming a thing of the past. 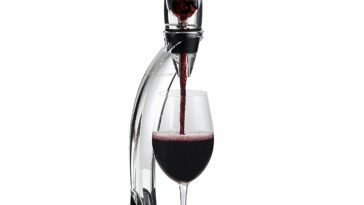 With this Brookstone wine opener, you can open the bottle with just a tap of a button. Cordless and sleek, this modern take on a wine opener is sure to up your wine game. 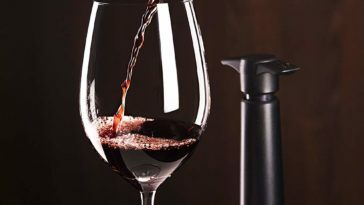 This automatic Brookstone wine opener is made from black steel and plastic, giving off a very high-end vibe wherever it sits. 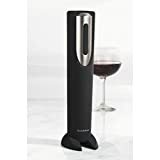 A base that holds (and displays) this Brookstone wine opener is included with a new purchase. The tool itself is just around 10 inches tall, and only a few inches around. 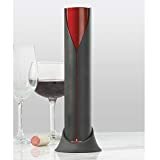 Like other Brookstone wine opener, this works with both synthetic and natural corks and there is no limitation to the size of wine bottles this can be used with. One of the best features of this product is that it is both cordless and automatic. It runs on just 4 AA batteries (not included with your purchase). Although it is not rechargeable, the batteries will give you anywhere from 150-400 opens before needing to be replaced. You will also have the benefit of a built-in foil cutter as part of the design. 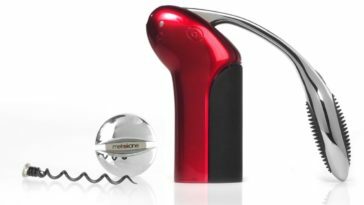 Another feature that is not as common for a Brookstone wine opener (or other competing brands) is that this model not only removes the cork, but it can eject it using a reverse feature. This can sometimes be a bit challenging to figure out, but Brookstone and certified retailers provide instructional videos to easily explain how to make this work for you. 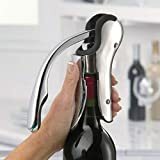 Thanks to the single-button design and the lack of physical effort that is required on your part to use this, this is one of the best kinds of Brookstone wine opener available for those who have issues with their hands and/or wrists. Additionally, it is great for those that have smaller hands or shorter fingers as it does not have handles that need to be pressed together. This is admittedly, one of, if not the most, impressive Brookstone wine opener available. Not only does this design allow for one handed operation, it works its way down to the cork with just a push of a button. It takes smart technology to a new level and will easily impress at your next party. The sleek exterior is just the beginning of this Brookstone wine opener, with a shiny metallic finish and sensual lights, it looks and plays the part. It is the longest Brookstone wine opener, stretching 11 inches from tip to top, but does not even weigh 2 pounds. 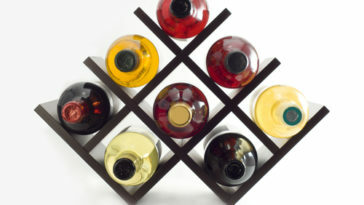 As all other Brookstone models, it works with both synthetic and natural corks and works on all types of wine bottles. The best feature of this model by far is the cordless, battery-less design. It is rechargeable and opens 60 bottles on a full charge. The docking station is an enhancement to this wine opener and displays sensual hues when charging. Bonus! Simply setting the wine opener in the charger triggers a charge, no buttons required. Another feature that elevates this Brookstone wine opener is that it automatically ejects the cork when turned upside down. No additional steps or movements required. A magnetic foil cutter is also included to round out this all-inclusive model. For those who like being at the front of design and innovation, it is also worth noting that this was a Red Dot winner in 2015.